Warps! Discover a new dimension of Flow Free®! If you like Flow Free, you'll love Flow Free: Warps! Warp paths across the board in Flow Free: Warps, the newest and most challenging member of the Flow Free family. Free play through over 1,000 unique boards made up of hexagonal tiles in Flow Free: Hexes. Use the new Bridges to cross two pipes and solve over 1,500 puzzles in Flow Free: Bridges! Spark Art is a fun-filled app for all ages! Paint original, sparkling creations, and save or share your work. Tap or drag to draw shapes, words, or objects that automatically come to life with dynamic, physics-based animations. Vary your strokes and speed to create interesting patterns and effects. Or just watch a display of sample art. Spark your imagination! 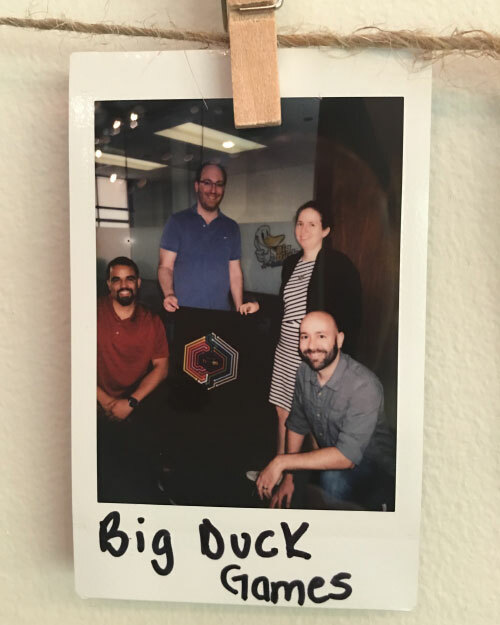 Big Duck Games is an indie mobile game studio based in sunny Miami, Florida, founded in 2012 by husband-and-wife team Mike & Sharon Newman. We're focused on creating quality casual games, especially logic puzzles. Our most popular title is Flow Free®, with over 250 million downloads, followed closely by other members of the Flow Free family: Flow Free: Hexes, Flow Free: Warps, and Flow Free: Bridges.